Hey all ...I know been a long long long time...lol So what happened ...well I had to move. But I will post more about that in my next post. So on to the project I made. 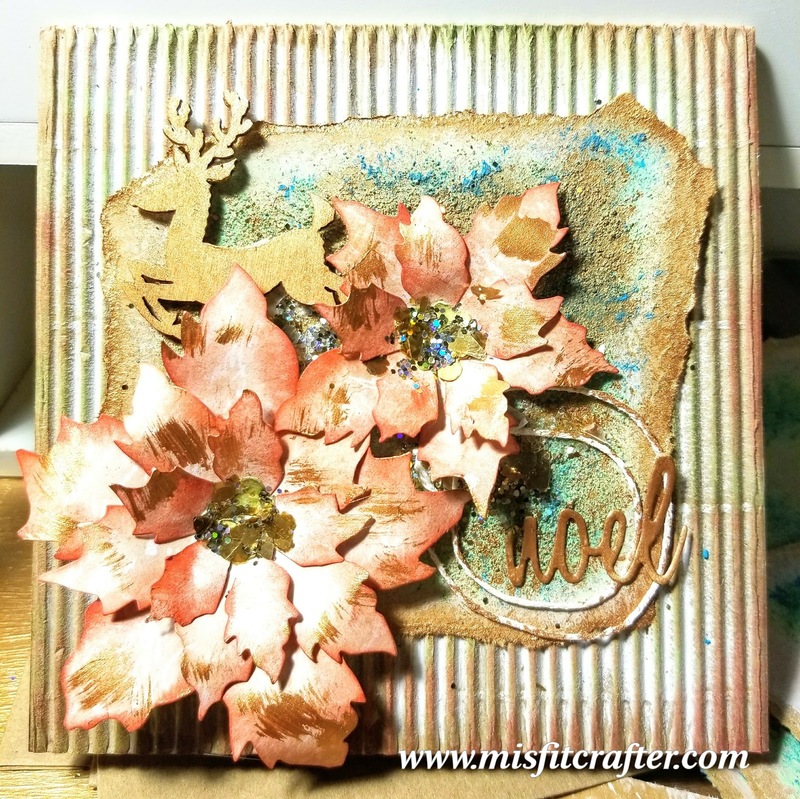 I was in a Periscope Train (back to back live crafty videos) and the theme was Christmas in July! So I made this pretty little card. You can watch the whole process in the video below! Don't forget to like & subscribe on YouTube if you want to see more. Recipe list & links below as well. Please let me know what you think in a comment! Ingredients: List of everything I used or an alternative to it. Remember you can substitute as you like. Most items I get from Michaels or Amazon.